When I was a little girl, my mom often let me stay up late to watch classical music performances on PBS. I vividly remember the night I saw Itzhak Perlman perform the Beethoven Violin Concerto. I was six years old and had just learned the Haydn Concerto in G Major. My introduction to its “big sibling” was a revelation; I instinctively sensed that the Beethoven was the pinnacle of violin concertos. 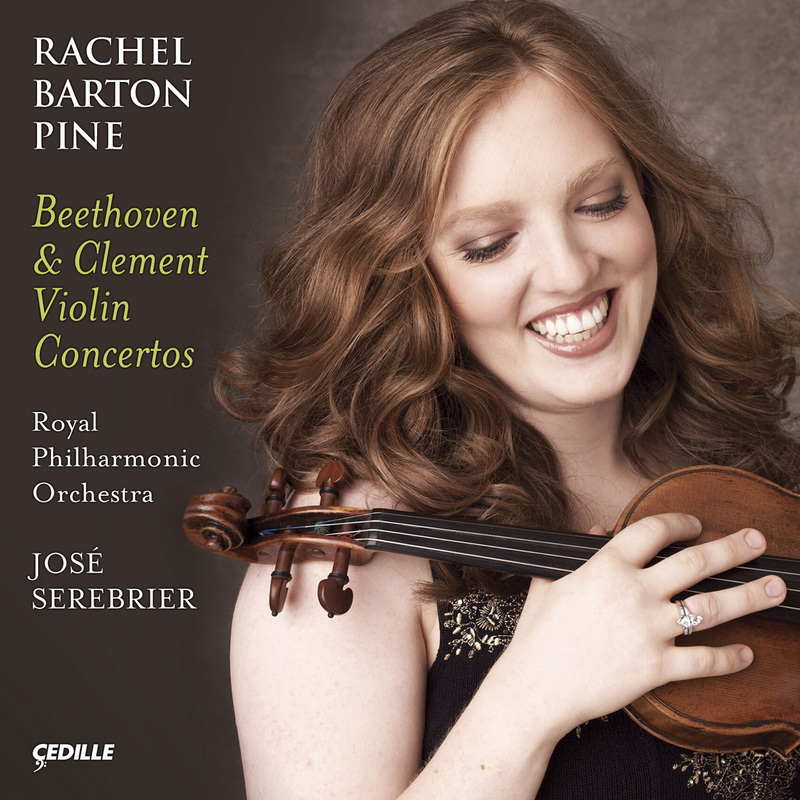 Stylistically, Beethoven’s concerto seems to stand alone among the great works for violin and orchestra. The few other con¬certos from that time that are occasion¬ally played, most notably those of Paganini, Spohr, and Rode, bear it little resemblance. I take a Classical period approach to the Beethoven, which accentuates its differenc¬es from the Mendelssohn Violin Concerto. The Franz Clement Violin Concerto in D Major turned out to be the perfect pair¬ing, setting Beethoven’s masterpiece in an entirely new context. In spring 2006, I received a call from the owner of my favorite sheet music store, Performer’s Music. Knowing of my fascina¬tion with lesser-known historic repertoire, he asked if I would be interested in the newly published first modern edition of Clement’s Violin Concerto in D Major. He read me a short essay about the piece and I placed my order immediately. When the score arrived, it only took one glance to know that I had found something special. It is an excellent composition, but what really startled me were the aesthetic similarities to Beethoven’s masterpiece. The Clement Concerto has not been pub¬licly performed in approximately 200 years. There are no surviving cadenzas, so I com¬posed my own for this recording. For the Beethoven, I chose to record the cadenzas I wrote in 2001. Most cadenzas to the first movement of the Beethoven begin with a variation on the solo violin’s first entrance. However, Beethoven began his cadenza to his piano transcription of the violin con¬certo with the bold motif in the orchestra that follows the conclusions of the exposi¬tion and recapitulation. I chose to start my cadenza with this same motif, employing my own choice of harmonies. The four repeated notes that feature so prominently in the first movement appear many times in my cadenza. Notably, in the final climax, I reiter¬ate them one last time, halving the speed for extra emphasis. They even make a brief appearance at the end of my cadenza to the last movement. I am very grateful to Maestro José Serebrier for learning the Clement and for preparing both works so meticulously. I would also like to thank the Royal Philharmonic Orchestra for playing with such commitment and enthusiasm. It was a rewarding collabora¬tion and I look forward to working with these fine musicians again. Finally, many thanks to Clive Brown for reviving Clement’s life story and concerto. I am very pleased to share with you my inter¬pretation of the Beethoven Violin Concerto and I hope that you will be intrigued and moved by its worthy predecessor.